InI had decided to spend my 20 days vacation this time in India and soak in the culture. I wanted to visit Delhi, Goa and Kerala in my trip . This article is not going to be about my trip, but rather about how to get India E-Tourist visa for UAE citizens and how you can get your visa cheaper than official government fees. Indians also make up the largest ethnic group in the UAE making up roughly 27% of the total UAE`s residents. Indian government implemented E-Visas in 2015 making it easier to get India E-Tourist visa for UAE citizens. As per the statistics of the Bureau of immigration, the number of tourists to India has increased after the implementation of E-Visas. The numbers are estimated to go up in the coming years. This article will be of help to UAE citizens on applying for an India E-Tourist visa. 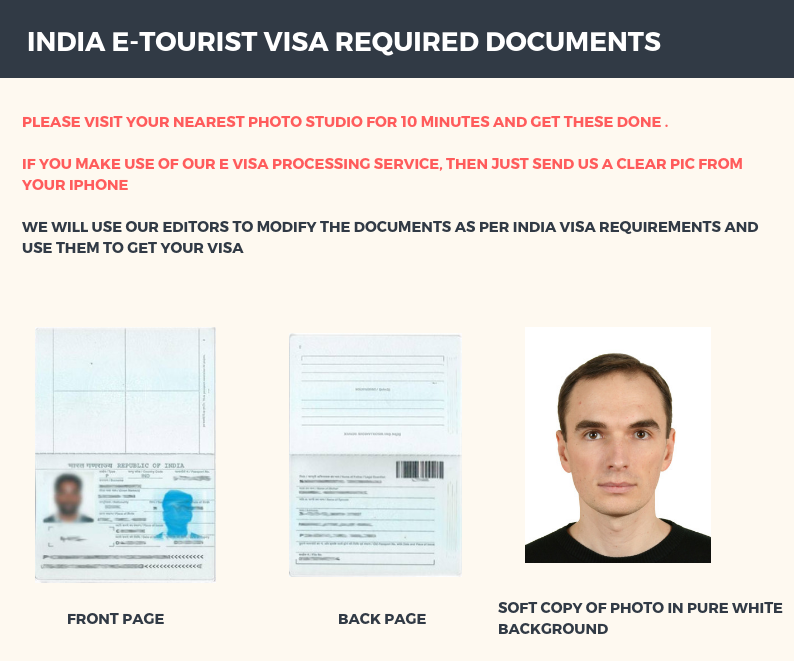 How to get India E-Tourist visa for UAE citizens below government fees ? This is how I got my visa at AED 250 (actual fees is AED 350). This works best if you have not booked your flight, hotel and insurance for your India trip. You will receive an email from indiavisainfo.com about your visa fees in 1 hour. Your visa fees can be anywhere between AED 0 to AED 340. You need to just accept the quote no payment needed yet. Do UAE citizens need a visa for travel to India? It is mandatory for foreign nationals visiting India to have a valid E-Visa before arrival at any Indian port. Those tourists arriving without a valid visa will not be allowed entry into the country. Is it possible to get a visa on arrival in India for UAE citizens? No, not anymore as India replaced the existing visa on arrival system with E-Visas similar to other countries. Foreign nationals planning to visit India should apply for an E-Visa before arriving in India. E-Visa application cannot be done after arriving in India. How to choose the right visa? E-Visas: E-Visas are electronic travel authorization issued to those foreign nationals visiting India for short duration business or tourism purposes and short duration medical treatment purposes. Out of the 3 E-Visas, only E-Medical visa holds triple entry benefits. None of the E-Visas are extendable or convertible. Regular visas: These are traditional visas with longer validity and multiple entry benefits. Unlike E-visas regular visas cannot be applied online. One has to make a prior appointment with the concerned Indian embassy and apply in person for a regular visa. One needs to apply and procure a valid visa according to the intention of visiting India before the journey to India. UAE citizens who wish to visit India for tourism for a period of fewer than 60 days can apply for an E-Tourist visa. What documents do UAE citizens need to submit for getting Indian E-Visa? Extreme care has to be given while uploading the details, scanned copies and photographs because even a small variation from the required specification will result in the rejection of your application. To avoid these risks you can avail the service of an India visa agent for a very nominal service charge. These agents have a lot of experience in this field that they can do the job for you with minimum hassle to you. The India visa agent we work with accepts photographs taken on your iPhone. If you want to apply by yourself make sure that you keep all the needed information and documents to avoid the last minute confusions. Doble check that all the needed documents are in the needed format and specification. The issues with the E-Visa portal has led to the growth of many scamming websites because of the users after being frustrated with the portal end up being prey to the scammers. These scam websites offer services that do not exist for a very high price, like express visas for $300. One needs to keep in mind that the government of India has not authorized any agents to issue E-Visas. The visa agents can only help you process your visa and not issue a visa. Avoid all the other websites to not fall victim of the visa scams. Ask all your doubts directly to your agent make sure that the agent is a genuine one and pay them in advance. How much does it cost UAE citizens for Indian E-Tourist Visa? It costs UAE citizens $50 for an India E-Tourist visa. This is exclusive of the service charge the credit card companies claim for their service. If you chose to hire a travel agent to do it for you, then you can expect to pay around $25 more. Through an India visa agent, applying through these agents will save you a lot of headache and time. They are experts in the visa processing industry committed to providing their customers the best in the class service. Through the official website of the government of India, this is the official E-Visa portal. Frequent crashes make this website an unreliable one apart from this the payment gateway too is unreliable. There will be no customer support from their side. From our experience the only reliable agent we would recommend our customers is indiavisainfo.com. We have been doing business with them for the past few years and they have always kept good standards and has given immense importance for customer satisfaction. The main merit of applying through them is the best in the class service they offer for a very nominal fee. They charge only $50 as their service charge for handling the entire visa application and $25 for handling only the payment part. One needs to make an advance payment of 50% of the fee for them to start processing your application. While submitting the form you need to make an advance payment of 50 %. Once they receive the advance payment and the form an agent will start processing your visa. He/she will call you within 2 hours to collect the needed information from you. There has been a lot of issues with the website from the day it was hosted, we shall discuss some of the major issues. The poor design and implementation of the E-Visa website has lead to a lot of reliability issues with the website. The site was not properly developed and the poor maintenance of the servers has led the incapability to handle traffic. One can expect the website to crash almost any time. Unfortunately, there aren’t any other solutions to this issue other than to avail the service of a visa agent.who is an expert in this field. These agents always monitor the website and they will finish the job for sure with a minimum headache for you. Can I apply for a Visa on Arrival at the airport? The visa fees are non-refundable. Therefore, you will not get a refund if you cancel your visa. E-Tourist visas hold double entry benefits, that is one can enter and exit India twice.